ALLENTOWN, PA October 20, 2015 . . . There is no greater thrill in sports than the opportunity to perform – and succeed – in front of a hometown crowd. That’s what Earl Paules, Jr. of Palmerton. 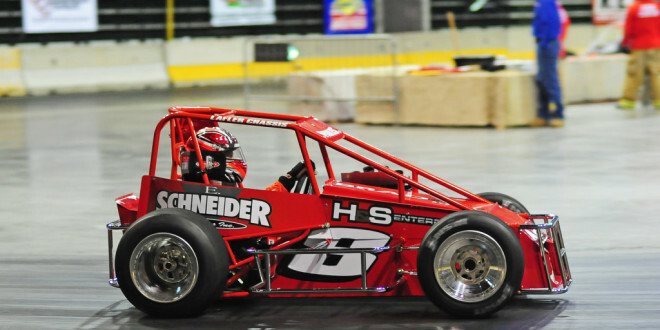 Pa., and Zane Zeiner of Bath Pa., are eagerly anticipating as Three Quarter (TQ) Midget entrants for the inaugural Indoor Races in Allentown, Pa.’s PPL Center on Saturday, January 2, 2016. 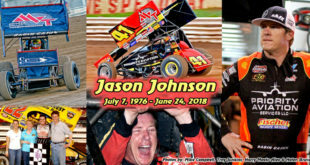 The pair are among more than 100 drivers who are signing up in great numbers to perform in front of their friends, neighbors and sponsors who are purchasing reserved seat tickets rapidly to see their heroes compete. 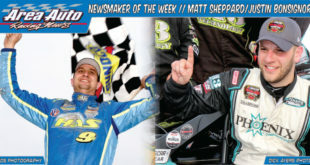 Paules, of Palmerton, has won five Mahoning Valley (PA) Speedway track championships in the last four years. 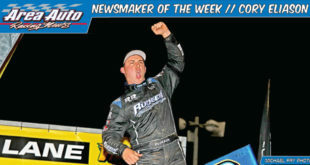 He is the reigning Modified champion and won Late Model titles in 2014 and 2013. 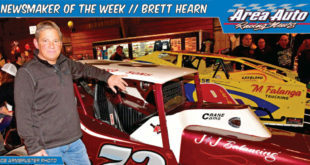 His year to savor was 2012 when he swept both the Modified and Late Model crowns. “It’s going to be nice running the TQ in Allentown in front of hometown fans,” Paules said. “A lot of them have already bought their tickets. One of my sponsors, Schneider’s Scrap Metal, is one of the race sponsors. 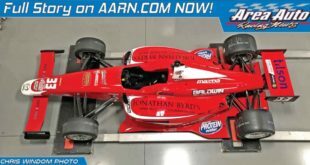 Paules, 50, is set to race the same TQ he has run for the past three Len Sammons Motorsports Productions (LSMP) Indoor Race seasons, a Mark Lafler chassis. What will be new is the Dave Pippard-built motor, a specially engineered ‘indoor motor’. 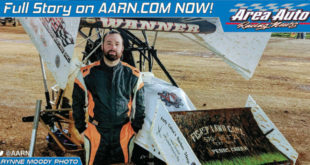 Zeiner heads to Allentown for the Indoor Race with the same Mark Lafler / Dave Pippard combination he has raced indoors for the past three LSMP indoor season. “I bought the car used from Lafler. 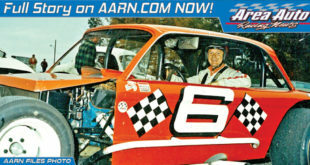 It was one of his first cars that (Patrick) Emerling had driven,” Zeiner said. 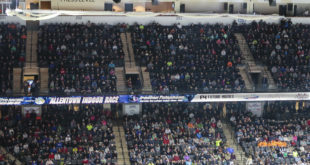 Zeiner, 39, is enthused about racing indoors in Allentown because of the hometown atmosphere. Zeiner was very quick the first year he raced indoors – at Atlantic City and Trenton – but has not been able to find the consistency, or luck, since. 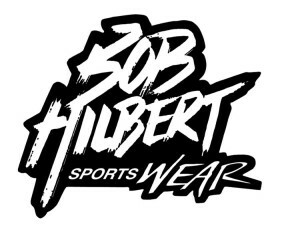 The event is part of a three race indoor series that includes the wildly popular annual events in Atlantic City, NJ on January 29 & 30 at Boardwalk Hall and in Trenton, NJ on February 27 & 28 at the Sun National Bank Center. Tickets for those events are also on sale now. Plans for the Allentown inaugural call for two divisions of racing featuring two classes of cars. 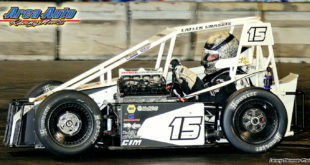 The powerful open-wheel Three Quarter (TQ) Midgets will headline the event. With the Slingshots, identically built cars that resemble Modified stock cars, also competing in the one-day event. 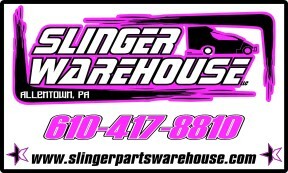 In addition to Paules and Zeiner, a strong Lehigh Valley regional presence is expected in the TQ Midgets. Top drivers from the area who have competed in the Indoor Series in the past include Tim Buckwalter (Royersford), Matt Janisch (Nazareth), Pat Bealer (Slatington) and Matt Roselli (Brodheadsville).